Easy Blocks is a Free Plugin for WordPress 5.0+ users. The blocks are dynamic, and you will see the changes without leaving your post or page editor. It has 16 essential blocks which enough to create a website. Having multiple variations for blocks is a most wanted feature in this plugin. Select the best variation depending on your website typography and niche. 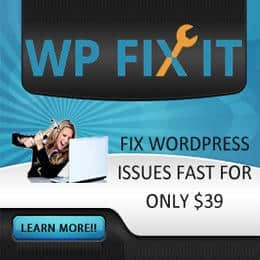 It offers full control to your WordPress post or page. They are adding more blocks regularly, rely on the user query. They have created a Gutenberg Block Library to help users to find the best the individual blocks. Hello Istiak, thanks for the great collection! Found a new blocks plugin that was released recently – Getwid by MotoPress, perhaps it could be of help to someone. Thanks for sharing. I’ll definitely check it out. It’s an amazing list of Gutenberg blocks. I would like to suggest more free Gutenberg blocks plugins here. So, you can keep those plugin names for your next post update. Thanks for sharing. I’ll definitely check them out. Gutenberg is still needed to have a better interface and usability to beat the competitors, WordPress needs to work a little more on it. Hope it will be evolving over the year. New features look good. I’d definitely give CoBlocks a better place next time when I update the post.